The attractive and versatile men’s Cotton Quilt Snap-T® Pullover from Patagonia is perfect whether you’re hitting the road or staying close to home. 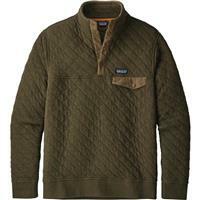 Its lightweight material is made of a soft organic cotton and polyester blend that’s both breathable and oh-so-cozy. Its limber design will make it your favorite new apparel option both on the slopes and raking up leaves in your backyard. The generously cut Y-joint sleeves give unlimited shoulder mobility that both athletes and Patagonia enthusiasts love. The most distinctive feature of this piece is its diamond quilting, which gives it both an attractive appearance and an effective heat-trapping surface. This pattern also reduces bulk when you’re compressing it to pack for your next outdoor adventure. In case it gets breezy outside, the doubled stand-up collar with a snap placket blocks wind chill, keeping you warm no matter what your day holds. 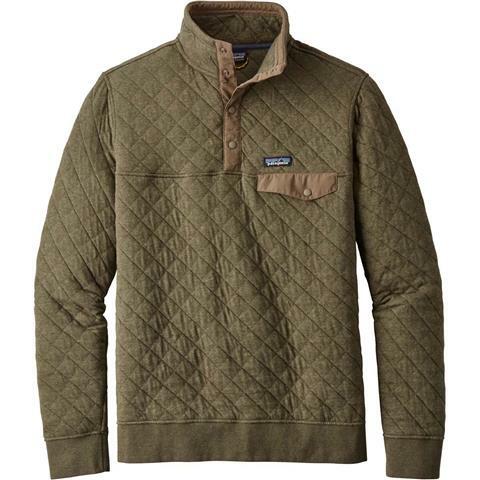 From the rib-knit cuffs to the hem seal, which helps the pullover retain its shape, ample features will make you want to order one in every color available at Buckman’s Ski and Snowboard Shops. Very warm and comfortable. I wear mine for just about any occasion. 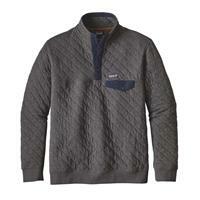 A great pullover for a cool fall day or as a mid-layer for those cold winter days on the mountain. Just an overall great item. Highly recommend! 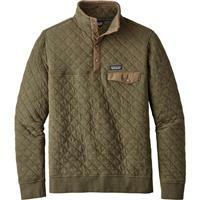 Great pullover for chilly weather, walking around urban areas, and having for outdoor activities! 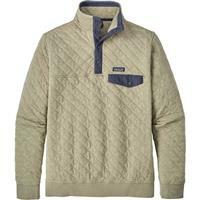 A traditional Patagonia pull over. One of the warmest sweaters I have ever owned. it doesn't matter if you're out walking around the city or sitting on the deck of the chalet this pull over will do the trick.